UCSF Fresno Book Signing March 28th! Join me for my first book signing! I’ll be reading an excerpt, answering questions, and of course, signing copies of my book. The first 100 books are available for free! 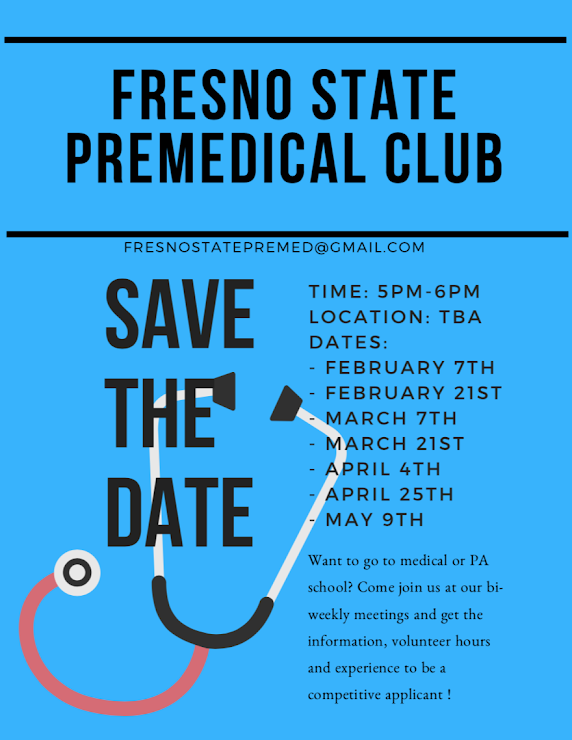 I’m excited to share some of my experiences with the future physicians at Fresno State on March 21st! February 14th lecture at The Center for Medical Humanities, at University of California Merced! Join us February 14, 2019 as Emergency Medicine Resident Stephanie Benjamin gives a lecture, as part of the Center's Medical Humanities series, titled "Tips and Techniques for Impactful Writing, from Personal Journaling to Publishing a Memoir". 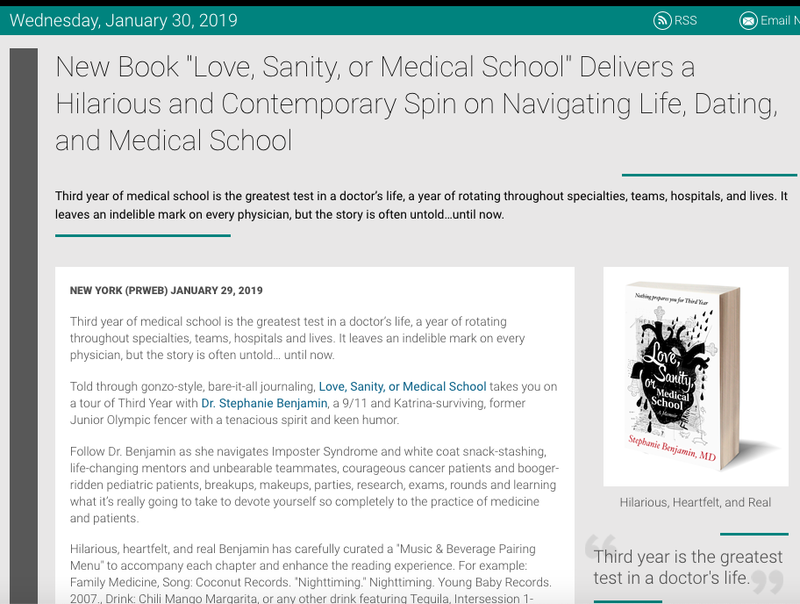 Official Press Release for Love, Sanity, or Medical School! Visit my author page and read excerpts at GoodReads! I've been invited to read an excerpt from Love, Sanity, or Medical School at The Examined Life Conference! This medical writer's conference will be taking place at University of Iowa from October 25-27th. Interested in disaster preparedness for healthcare professionals? Come to my talk at the annual conference for the California chapter of the American College of Emergency Physicians (ACEP) on September 7, 2018! My new featured post for the website Ask Me Anything! My MCI drill made the cover story of a local magazine! Dr. Benjamin only hopes it continues to grow. “Our vision is to create a model that can be duplicated across the country, in different national parks, and eventually develop a comprehensive curriculum that could really improve the way we respond to disasters,” she says. 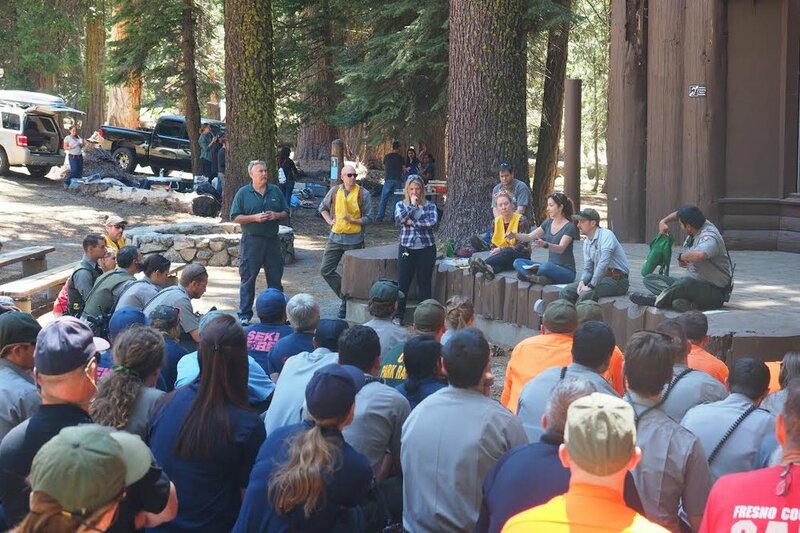 Me leading the debrief session after last year's MCI drill in Sequoia National Park. The annual Mass Casualty Training Drill will be taking place May 2019. If you are a medical professional, medical student, or involved in the National Park Service, contact me for details about volunteering! Being interviewed about the MCI Drill for local news. Link above. Being interviewed for local news about my role as Course Director for the annual Mass Casualty Drill day at Sequoia and Kings Canyon National Park. Another interview I did highlighting the annual Mass Casualty Training Drill I ran at Sequoia and Kings Canyon National Park. A technique for removing a fishhook using wire cutters. Presented by Drs. Jess Mason and Stephanie Benjamin at UCSF Fresno. Visit www.EMRAP.org for all your Emergency Medicine education!